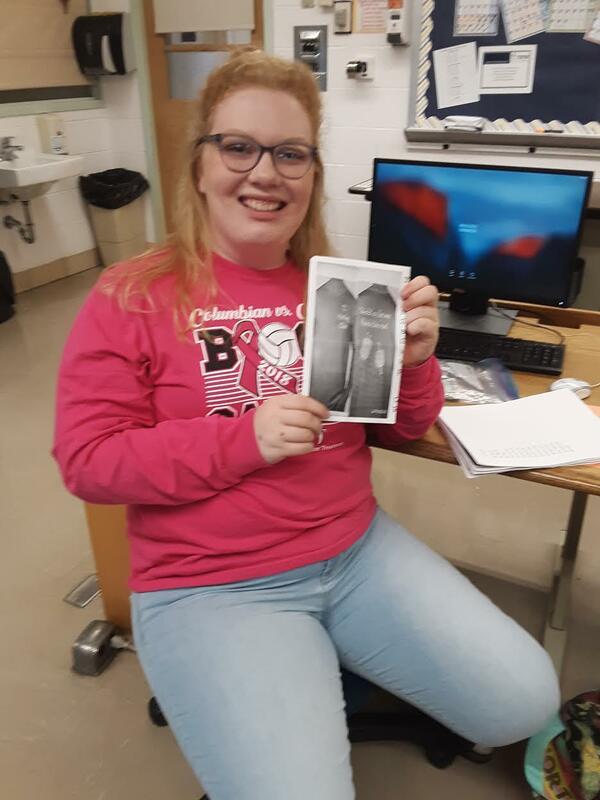 Join us on Mondays from 3:00-4:00PM in Room 206. 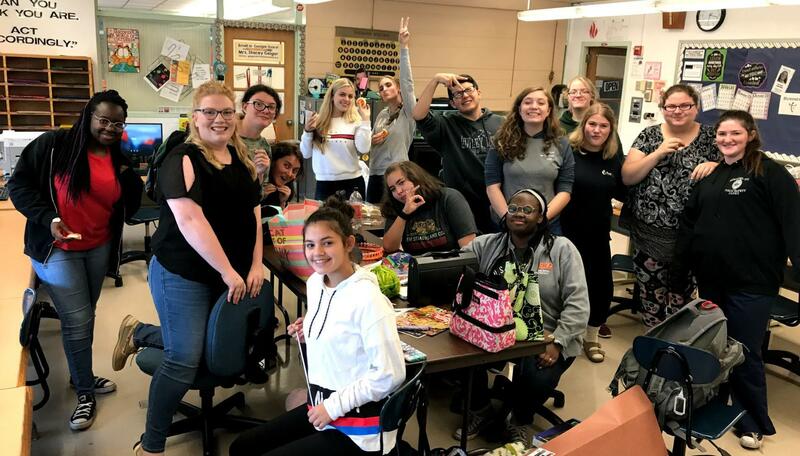 Random "group selfie" of our Knitting Club! 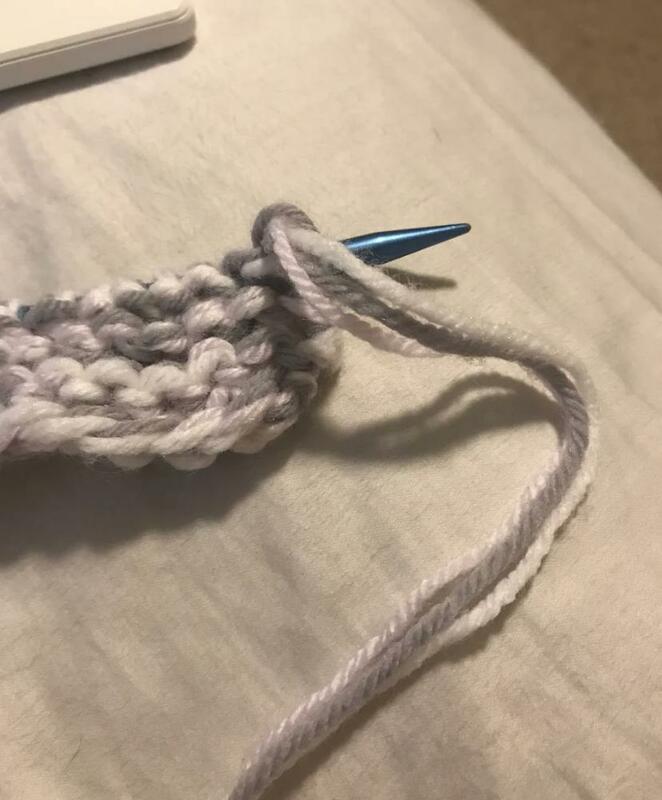 Why use one yarn when you can use THREE? 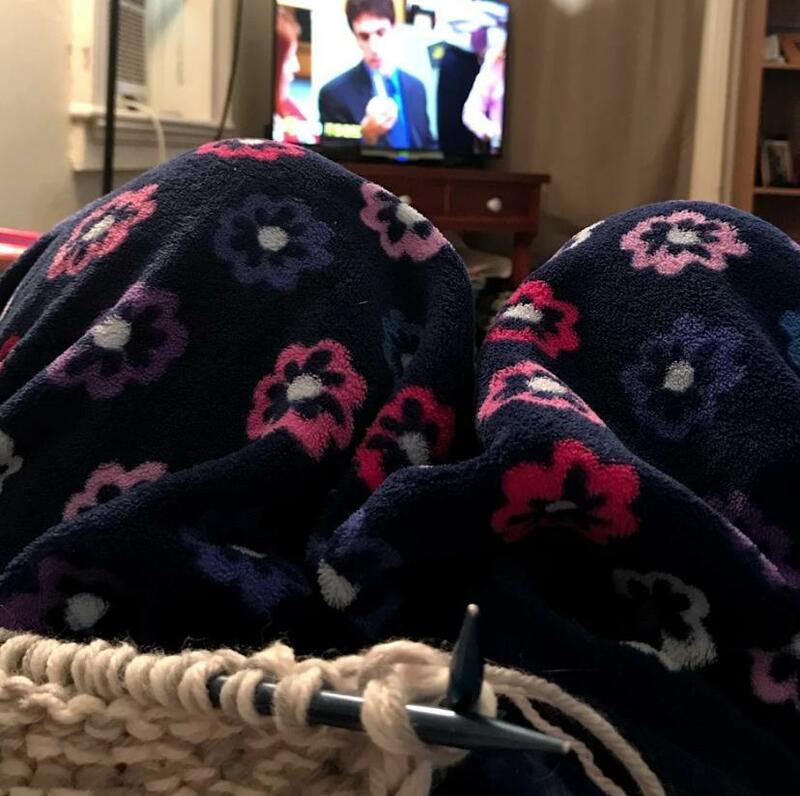 Knitting+A blanket+The Office=the perfect way to spend a rainy Saturday. 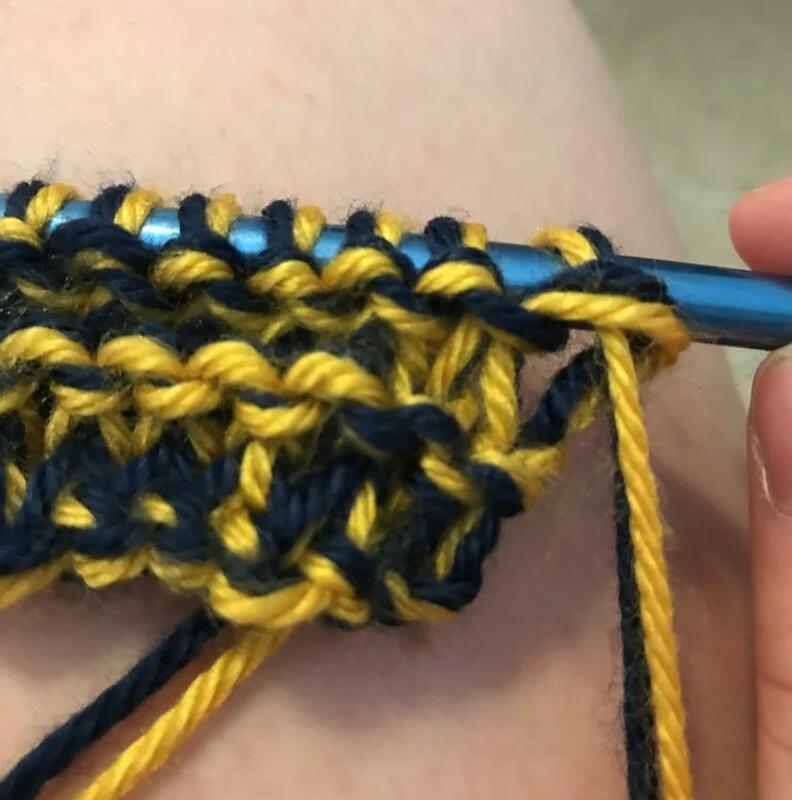 Finally using the yarn I won at the Christmas party! 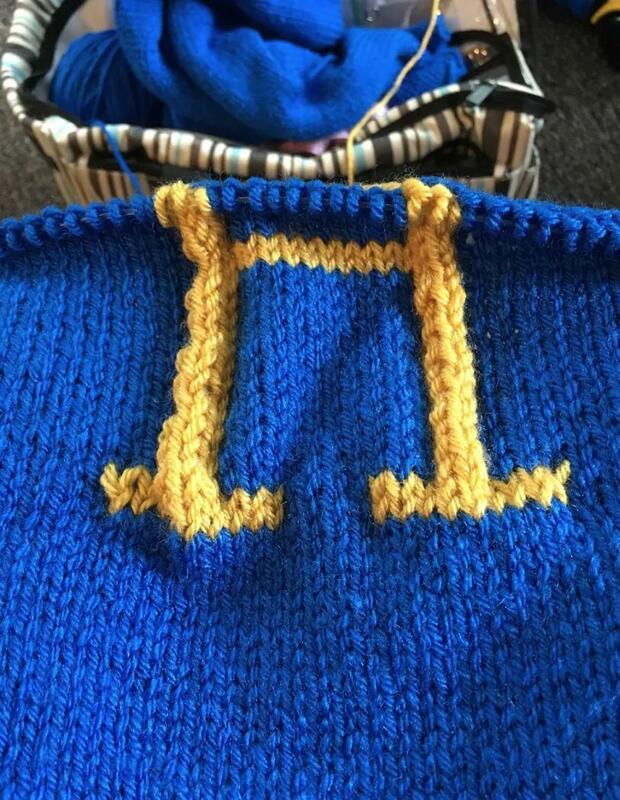 Working on a Molly Weasley Christmas sweater in Ravenclaw colors. 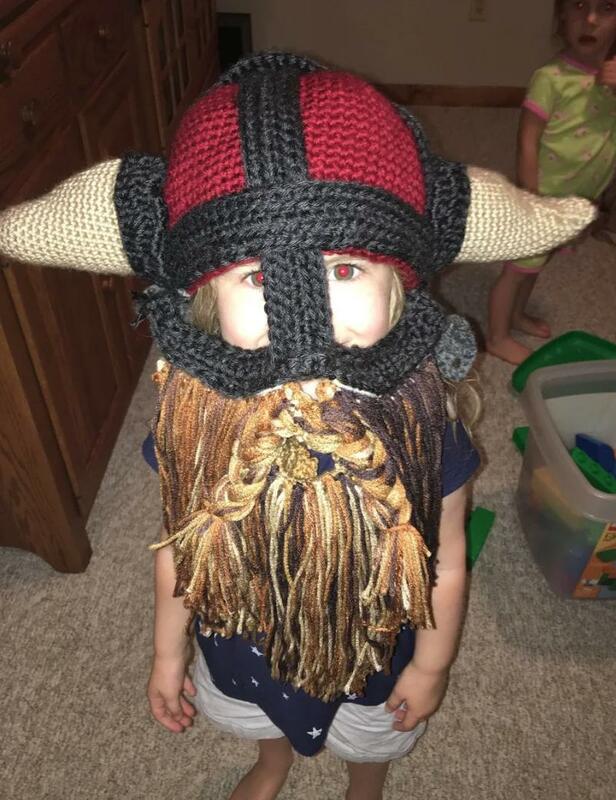 My mom crocheted this Viking hat for my older brother! It looks amazing! 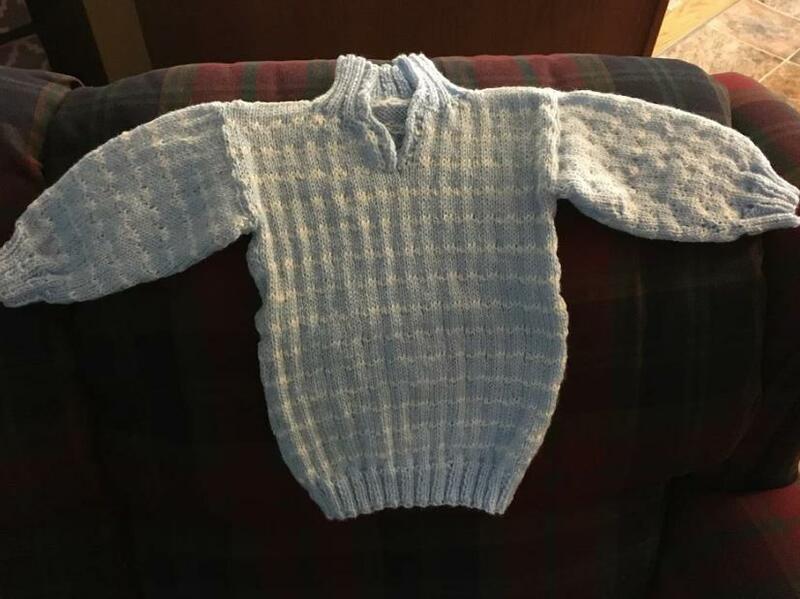 Also, I finally finished Aaron's Easter sweater! It won't fit next Easter. And it's 9000 degrees today. So he may never wear it. This is how im spending my summer. Such fun. Pizza's ready! 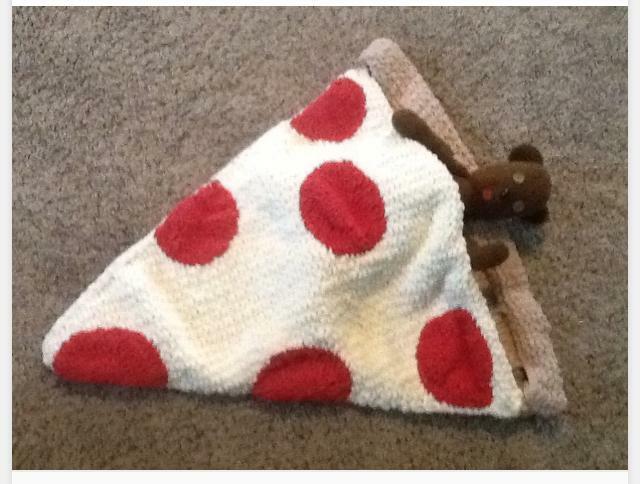 Hope my friend's new baby likes pepperoni. 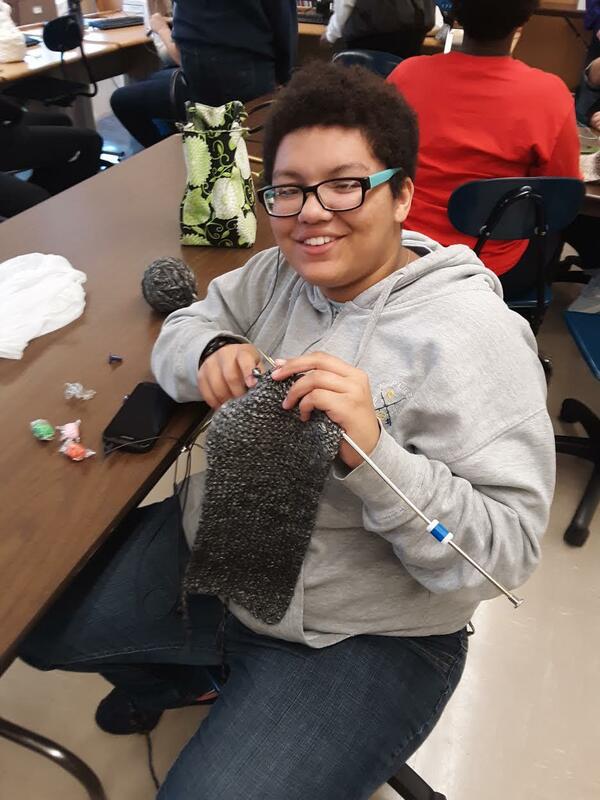 Grace is hard at work on her gray scarf. 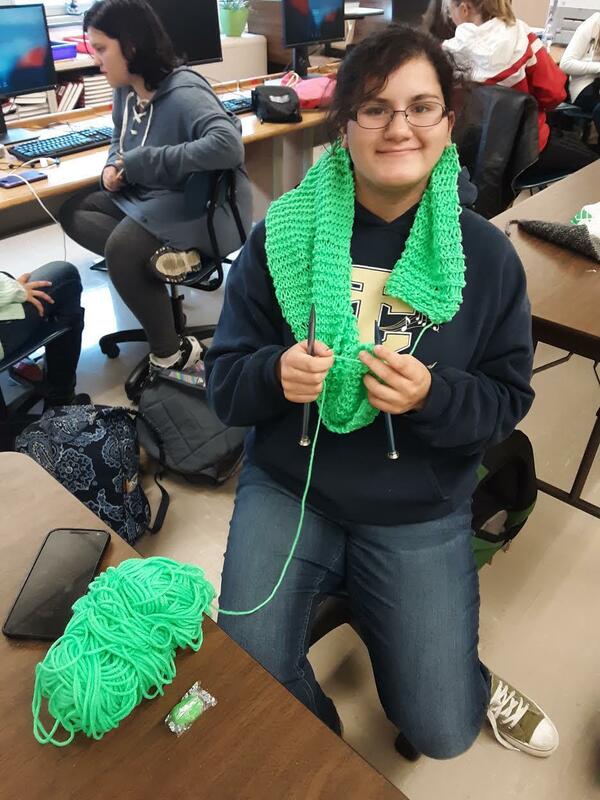 Jorie is working on a "yarn-less" knitting project... knitting club t-shirts! 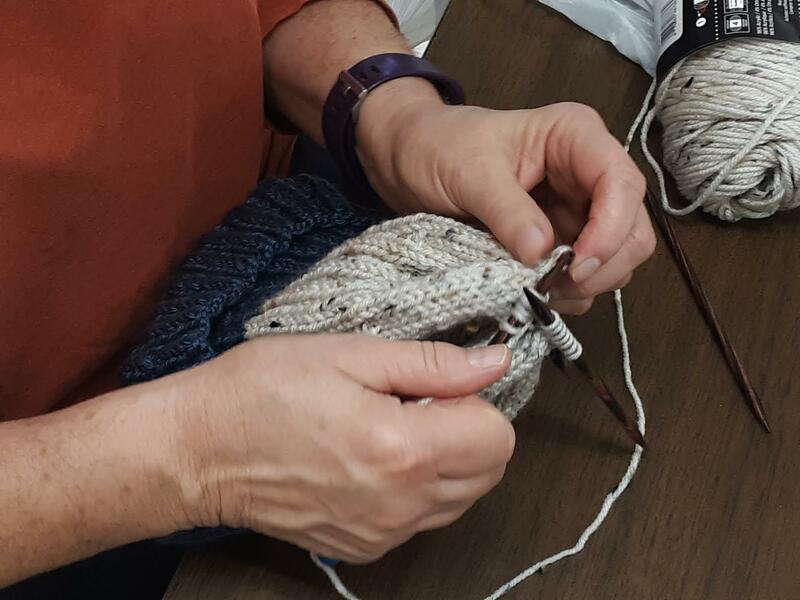 Knitting in the round... surrounded by friends! 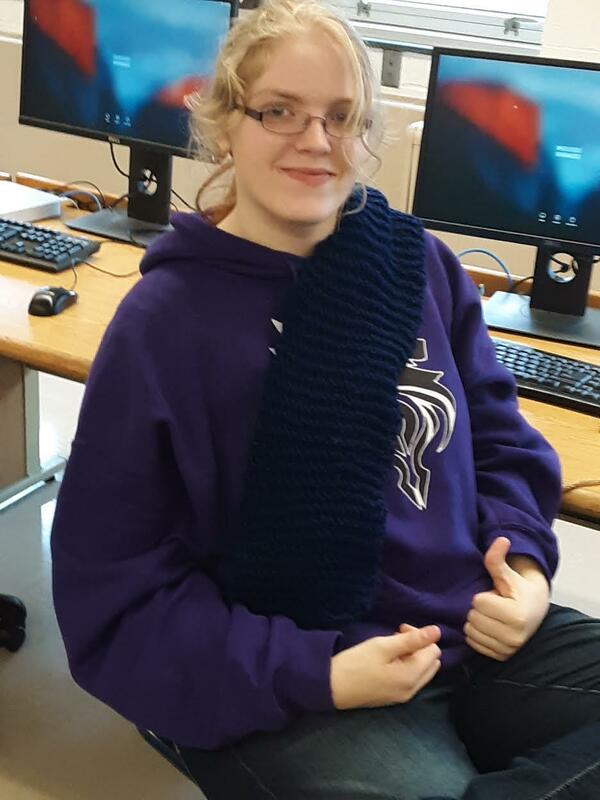 Emily is binding-off her first scarf of the year. Congrats! 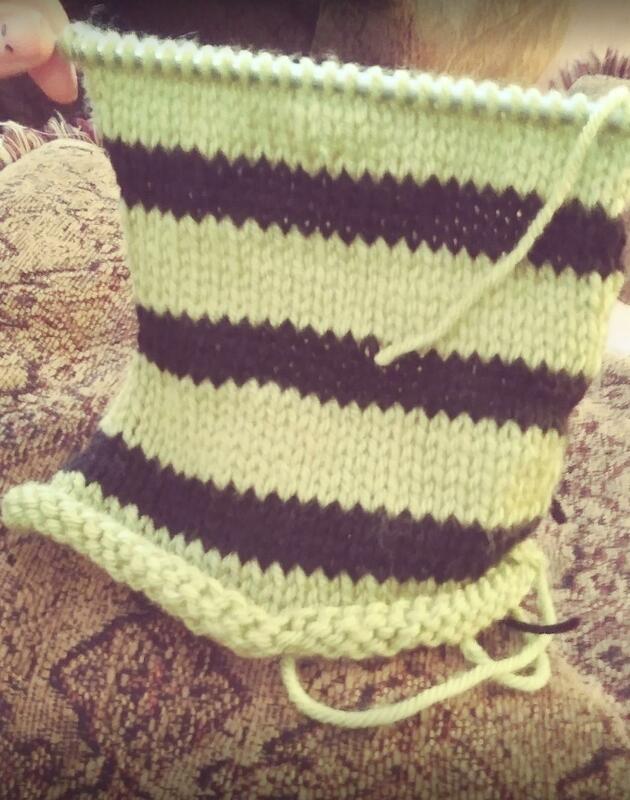 This knitter is going to be warm this year! 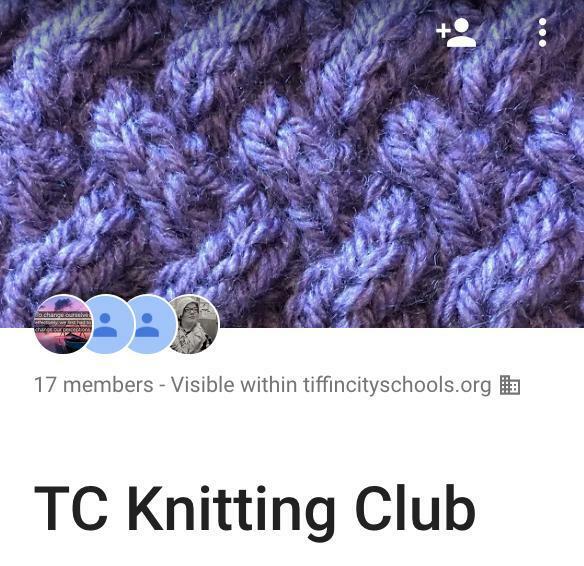 Join our discussion online via Google+ Communities.